This is the fifth edition of Wonderful Western District Women but the first with just one subject. It is also the first with a woman who hasn’t been part of the WDF Pioneer Obituary Index. I came to know Elizabeth Sharp when I wrote the Passing of the Pioneers entry for her husband Charles Gray leaving me thinking she was way more interesting than Charles (although he was far from dull). I discovered Elizabeth was a strong, independent woman who was musically and artistically gifted. She embraced the beauty of her surrounds and in doing so she charmed a Prince and earned praise from a Queen. Click on the underlined text throughout for further information about a subject. 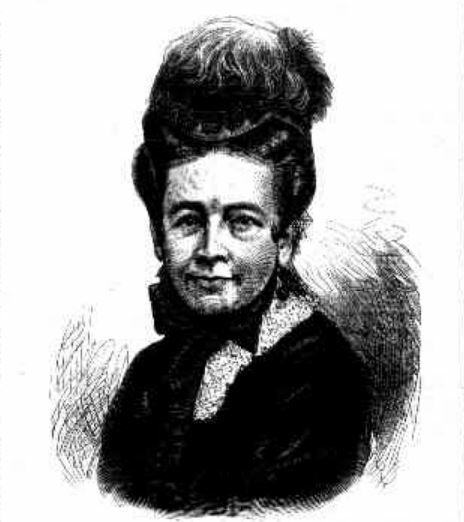 Elizabeth Sharp was born in Dublin, Ireland in 1822, a daughter of watchmaker Christopher Sharp and Catherine Rankin. She had an older brother Richard (later a member of the Royal Irish Academy) and an older sister Catherine “Kate” and younger sisters Emily and Flora. On 4 January 1842, Kate married Thomas Doolan of Tipperary in Dublin (Dublin Morning Register, Thursday 06 January 1842, p. 2). 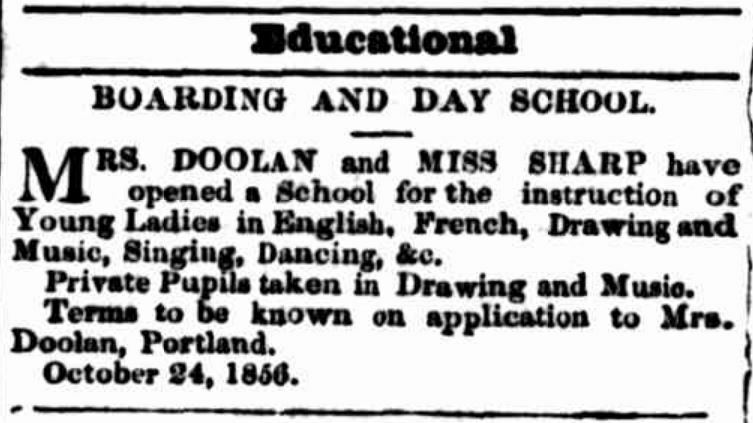 Ten years later the Doolans and their children left for Portland, Victoria on the Runnymede, arriving on 3 June 1852. 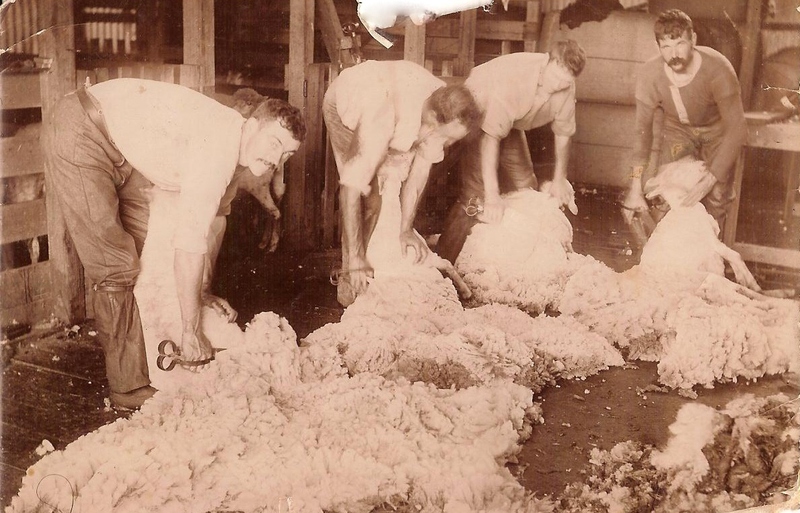 As for Elizabeth’s arrival in Australia, it is generally accepted she spent time in Sydney up until 1857. 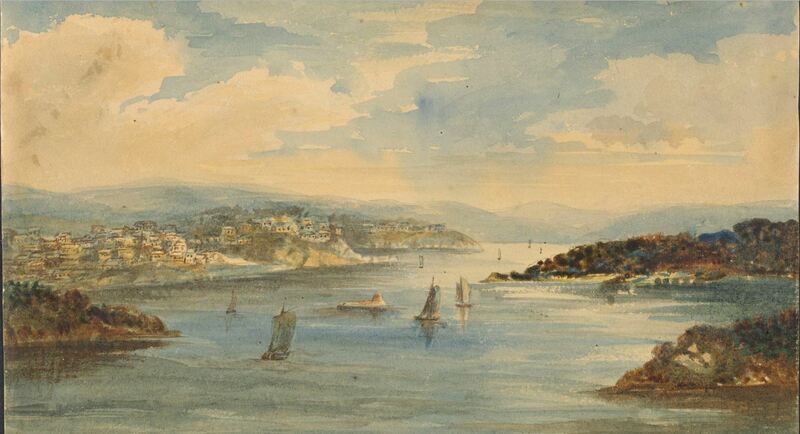 That acceptance seems to come from artworks by Elizabeth depicting Sydney including this work showing Sydney Harbour (below) and another of the Sydney Heads which have been dated 1857. The following year, Elizabeth and her sister Kate opened a school for young ladies at Portland with drawing and music on the curriculum. 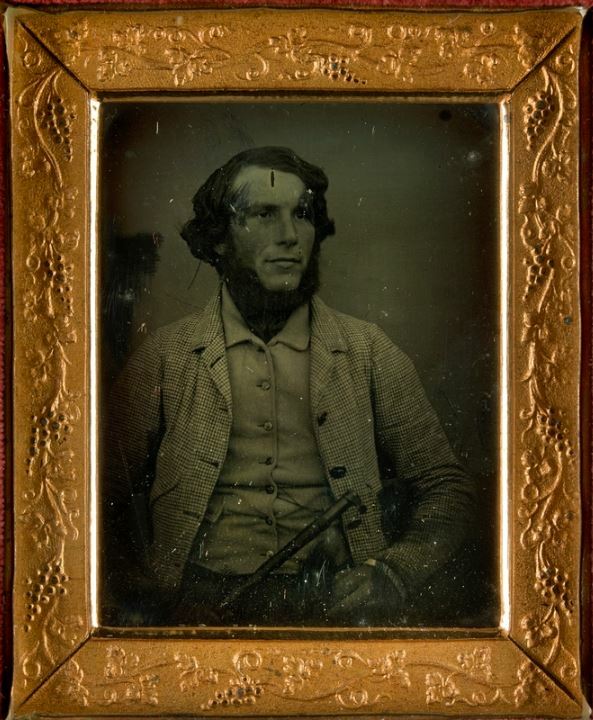 On 19 March 1857 Elizabeth married at Portland to squatter Charles Gray (below) of Nareeb Nareeb, south of Glenthompson. Elizabeth was around thirty-five and Charles thirty-nine. 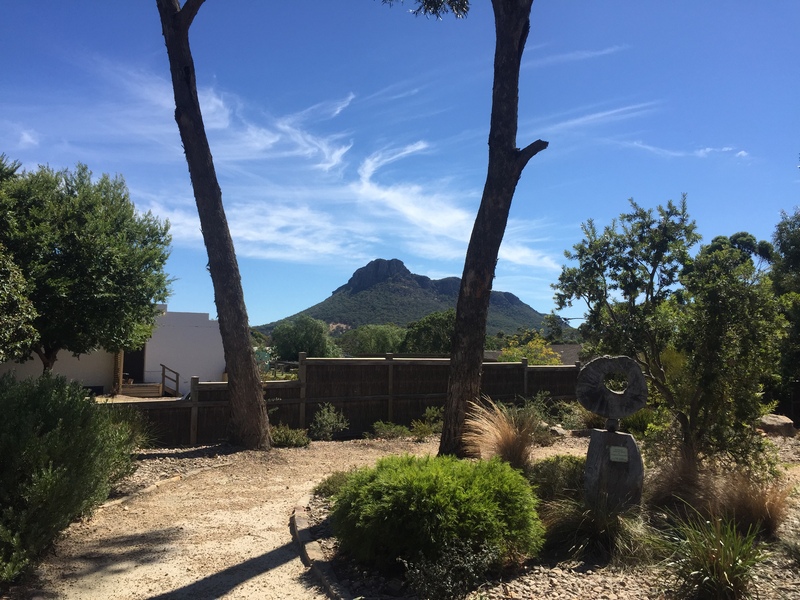 Charles’ property was relatively isolated with Hamilton the closest large town, however, it was well established with Charles having settled there seventeen years before and no doubt there were servants making life more comfortable. 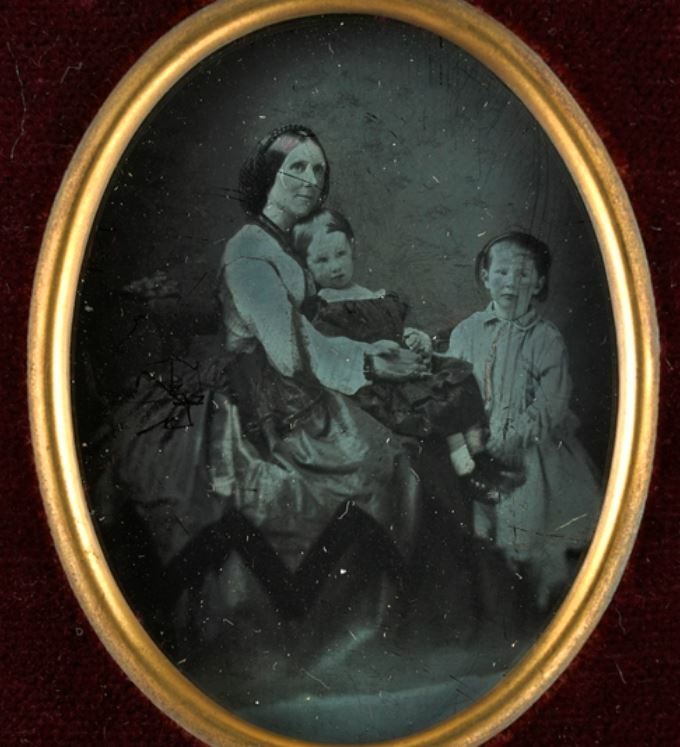 A daughter Annie was born to Elizabeth and Charles at Portland, on 17 April 1858 and another daughter Emily was born in 1860 at Nareeb Nareeb. 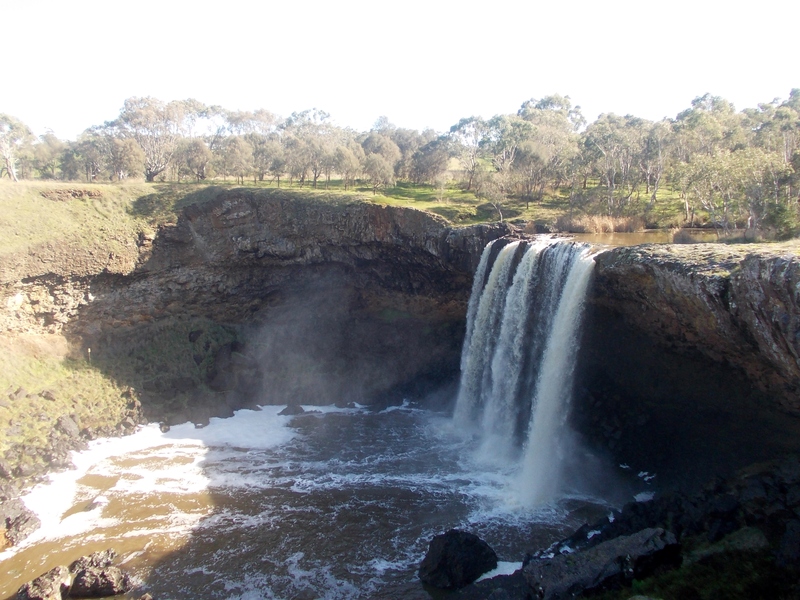 On 15 March 1862, a son was born at Nareeb Nareeb but he sadly died before he could be named. Possibly on doctor’s advice, Elizabeth then forty spent some of her next pregnancy at Neptune Cottage, (below) in Gellibrand Street, Queenscliff where a daughter Elizabeth was born on 13 February 1863. 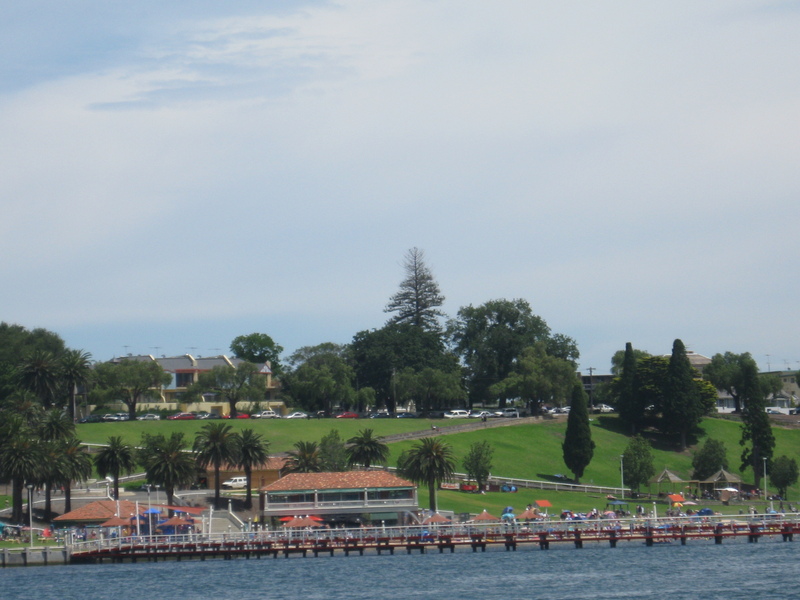 The family would visit Queenscliff often over the coming years including the Christmas of 1866. 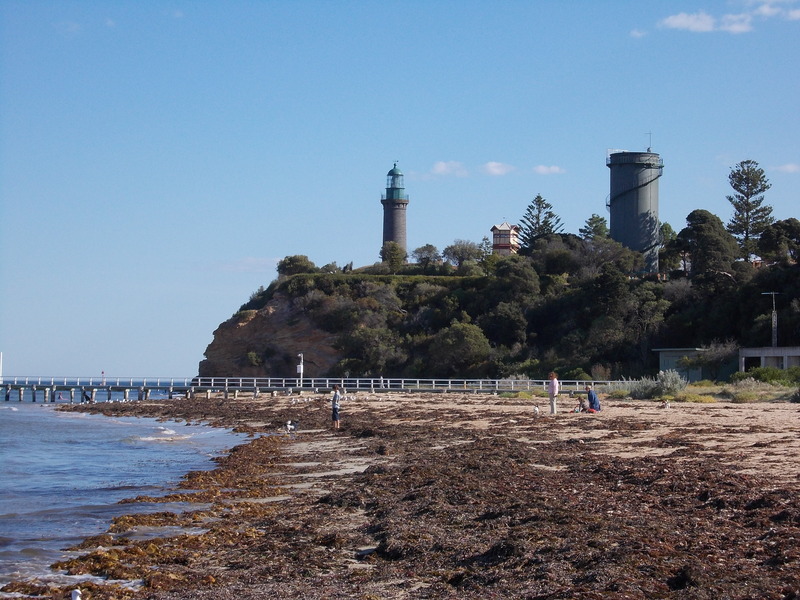 Six days after daughter Elizabeth’s birth, two new lighthouses at Queenscliff, one black and one white were lit for the first time on 19 February 1863. Elizabeth would have seen the construction of the lighthouses in the lead up to the birth of her daughter as she looked at the coastline which inspired her to paint. 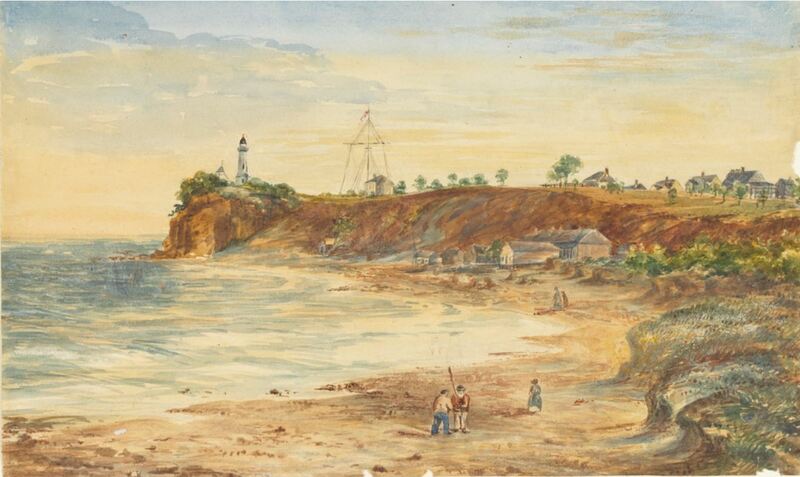 She created several watercolour drawings of Queenscliff including the one below dated 1863. Elizabeth drew the old sandstone lighthouse where the black lighthouse now stands which could be easily viewed close to Neptune Cottage. The old lighthouse was demolished in March 1863. 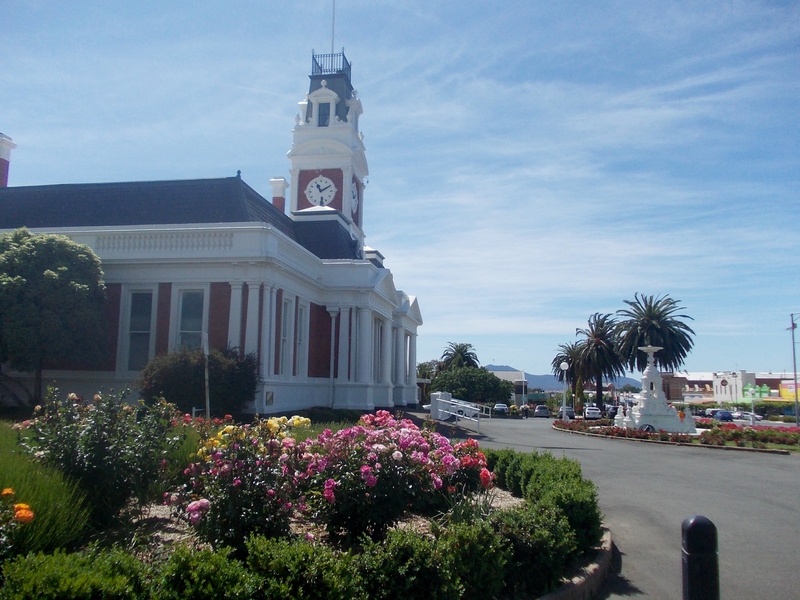 The year after her time in Queenscliff, Elizabeth sent five pieces, watercolour drawings and etchings to the 1864 Annual Exhibition of Fine Arts in Melbourne. 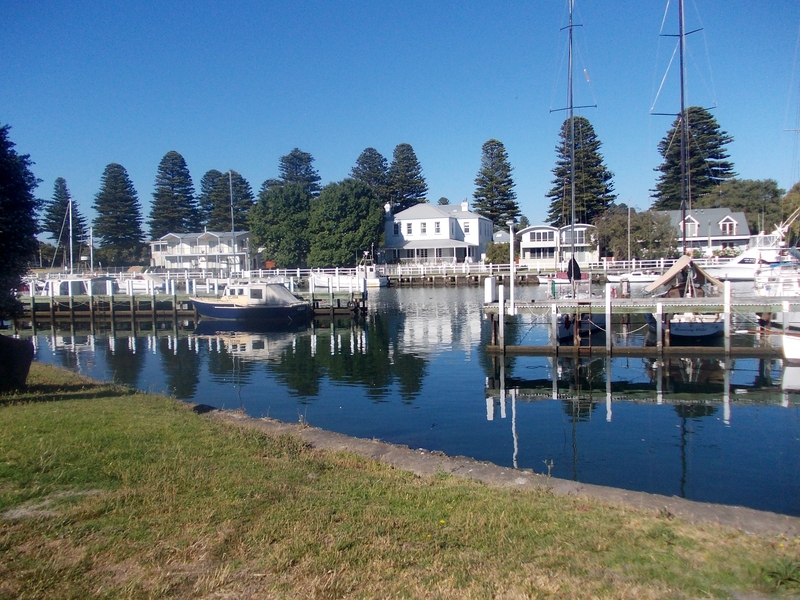 One was a “view of the coast” at Queenscliff. Another Western District exhibitor was Elizabeth’s sister Kate Doolan. The sisters received excellent critiques for their works. 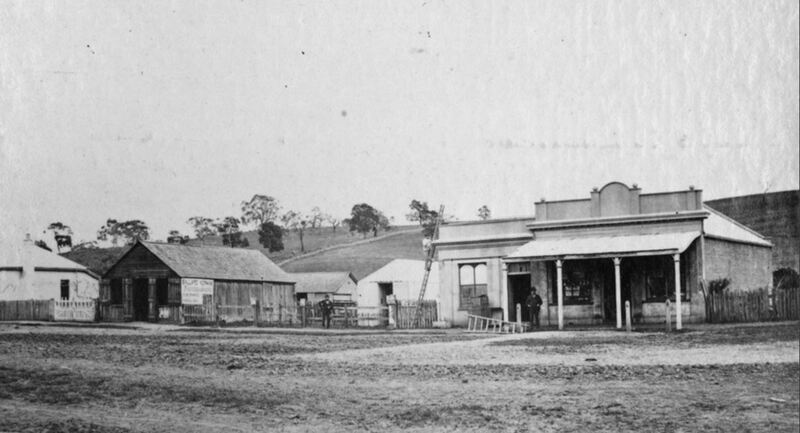 In 1866, Elizabeth exhibited at the Melbourne Intercolonial Exhibition. 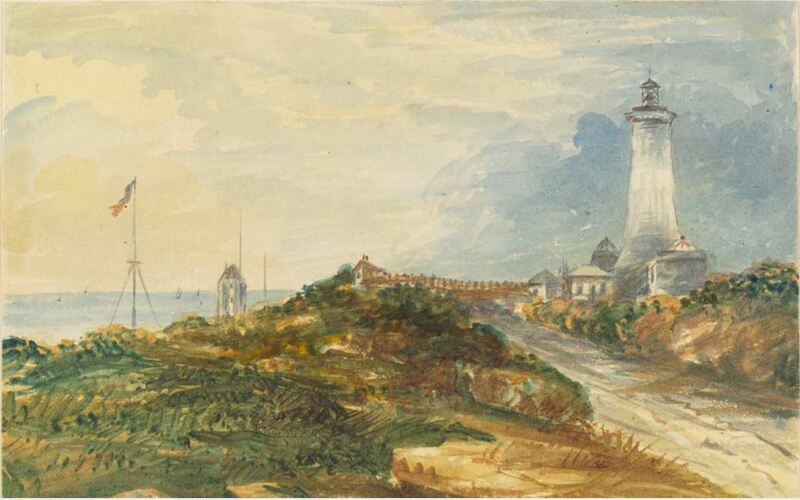 Her watercolours included a view of Schnapper Point, a view of the Queenscliff lighthouse, possibly the one below, and a view of Queenscliff including the house of Mr Fellows. She also exhibited a set of doilies with landscapes etched in ink on to the linen. She received a medal for her doilies. 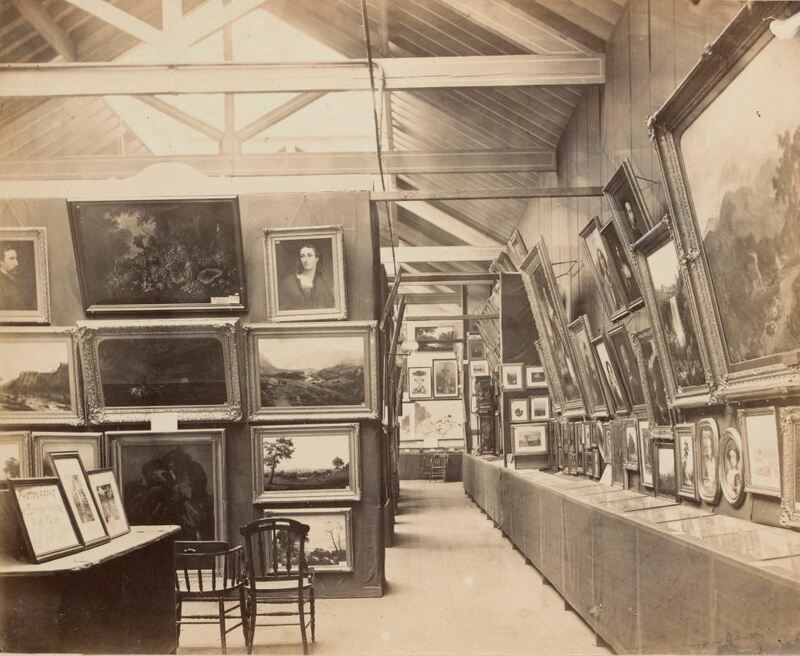 This is an amazing photo of the Fine Arts display at the 1866 Melbourne Intercolonial Exhibition where Elizabeth and Kate’s works were displayed. During 1867, Queen Victoria’s son Prince Alfred, the Duke of Edinburgh arrived in the colony. 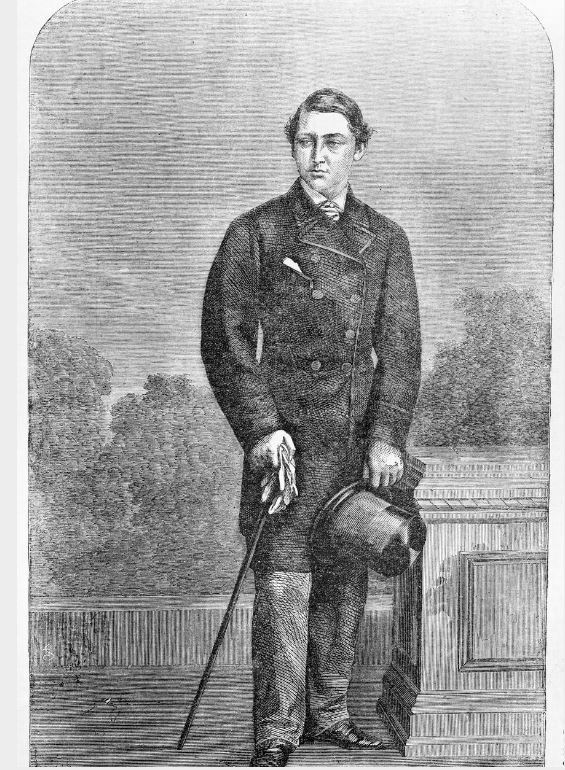 In December 1867, Prince Alfred spent a weekend at Hopkins Hill, the neighbouring property to Nareeb Nareeb, as the guest of John Moffat. Charles and Elizabeth were invited to Sunday lunch with the Prince. The girls also went along. Elizabeth, with help from one of her daughters, presented His Royal Highness with two vases featuring etched Black Swan eggs. Delighted with his gift, Prince Alfred seated Elizabeth next to him at lunch. Elizabeth created four pieces for Queen Victoria decorated with scenes the Prince saw during his visit to Victoria, something they must have talked about at lunch. There were two small vases each with carved black swan eggs. 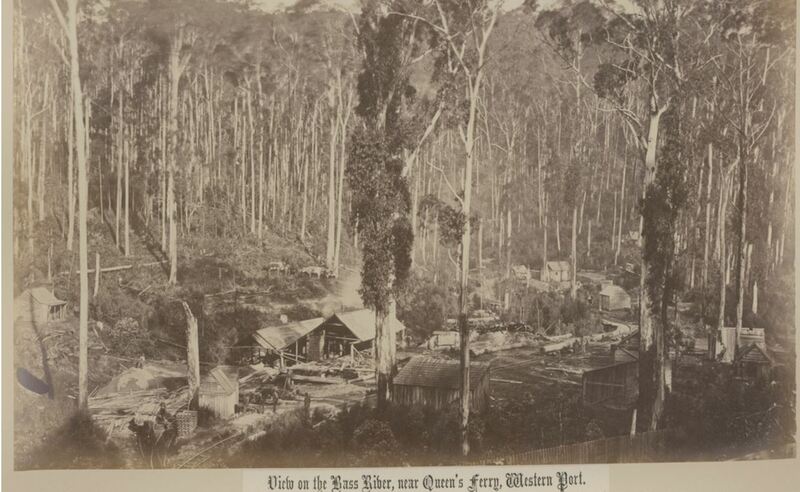 One featured the Wannon Falls near Hamilton, (below right) and a view at Ferntree Gully (below left). 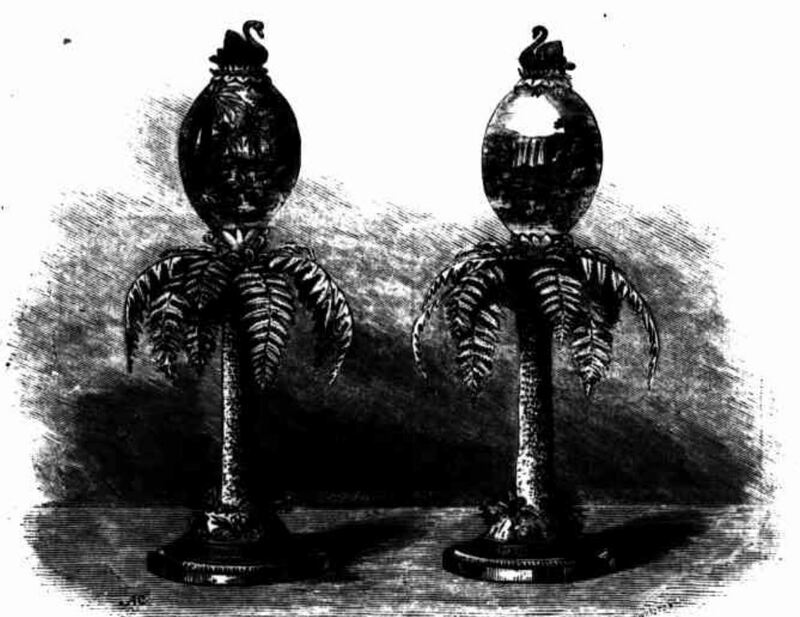 “VASES PRESENTED TO HER MAJESTY THE QUEEN.” Illustrated Australian News for Home Readers (Melbourne, Vic. : 1867 – 1875) 15 August 1868: 12. Web. 7 Feb 2018 . 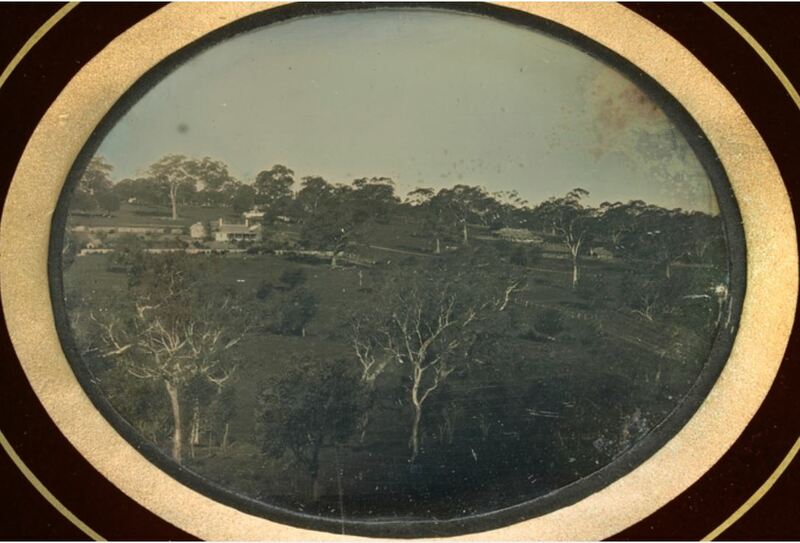 She also created two tazzas (bowls) with ostrich eggs etched with various scenes including Mount Sturgeon near Dunkeld and Port Phillip Heads. Some reports suggested they were emu eggs. 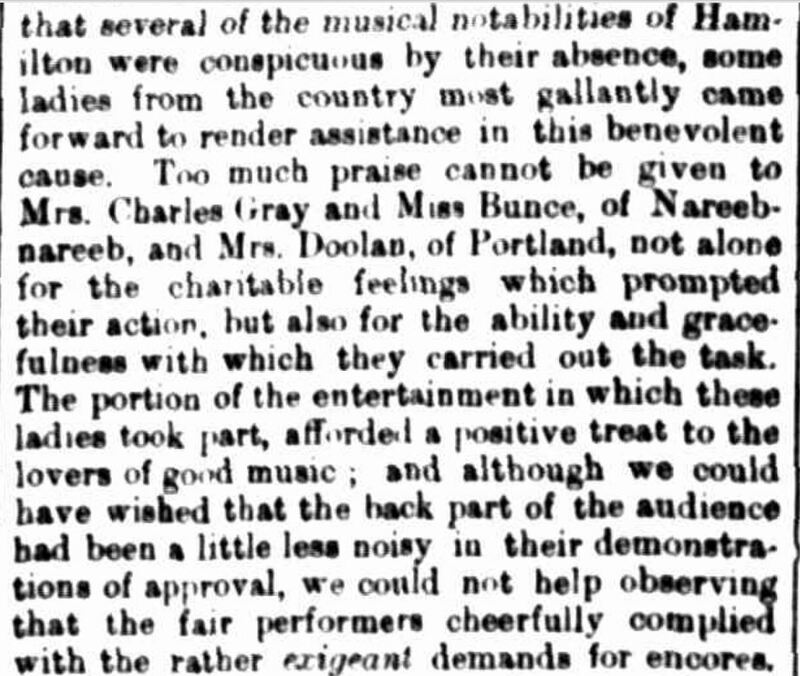 On 27 April 1870, a benefit concert was planned for Mrs Munro and her children who lost their home in Thompson Street, Hamilton to fire. A week prior to the concert, the organizing committee was still looking for vocalists. Elizabeth, her sister Kate and Miss Bunce offered to help out much to the enjoyment of the 500 people who crammed into the Hamilton Lands Office. Elizabeth accompanied singers on the piano and performed two piano duets with Kate. 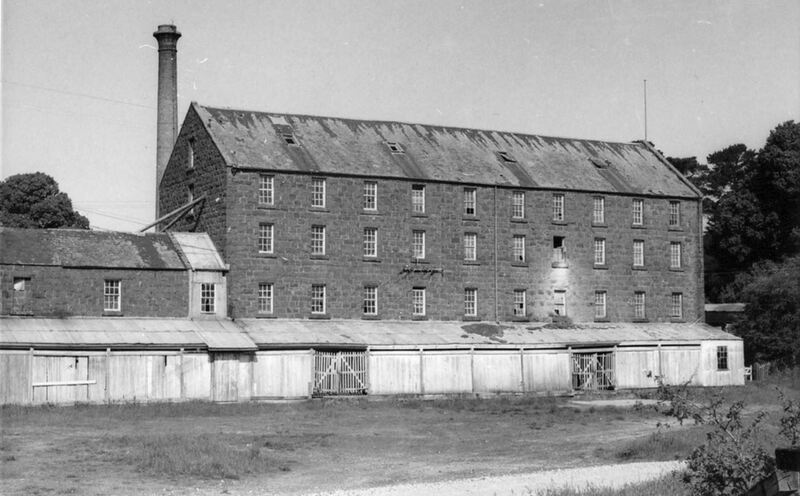 The Hamilton Spectator wrote they imparted “to the performance an amount of fine execution seldom witnessed in amateurs”. Miss Bunce sang several solo pieces. 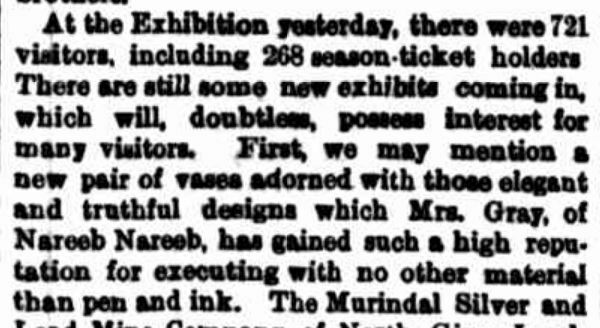 In 1872, Elizabeth exhibited sketches of Aboriginals at Narreb Nareeb at the Victorian Intercolonial Exhibition in Melbourne, receiving an honourable mention and they later were sent on to the 1873 London International Exhibition. By the end of 1873, the Grays had decided to travel to Europe on what Charles described as a holiday. They planned to leave by the February mail ship. Charles held a clearance sale of the household furniture and harness in December 1873. On 26 February 1874, Charles, Elizabeth and the three Misses Gray did indeed leave by the mail ship RMS Bangalore. Elizabeth was around fifty-one at the time. 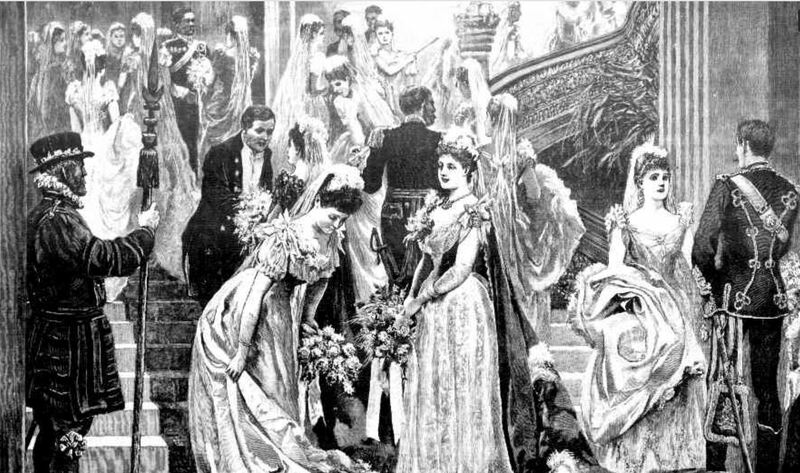 In 1875, Elizabeth’s eldest daughter Annie received an invitation to attend the Queen’s first “Drawing Room” of the year at Buckingham Palace. A ‘drawing room” was a formal function held at intervals throughout the year which saw young ladies presented to Queen Victoria in her drawing room. An invitation to a drawing room was highly sought after. Elizabeth’s early brush with royalty was said to have “broken the ice”. Elizabeth chaperoned Annie who captivated the overseas press who described her as an “Australian Beauty”. Her dress was “rich white satin; train, trimmed with bouillonnees and ruches of tulle, with sprays of lilies of the valley and roses; jupe of rich white grosgrain, trimmed the same; headdress, tulle veil with a spray of lilies. 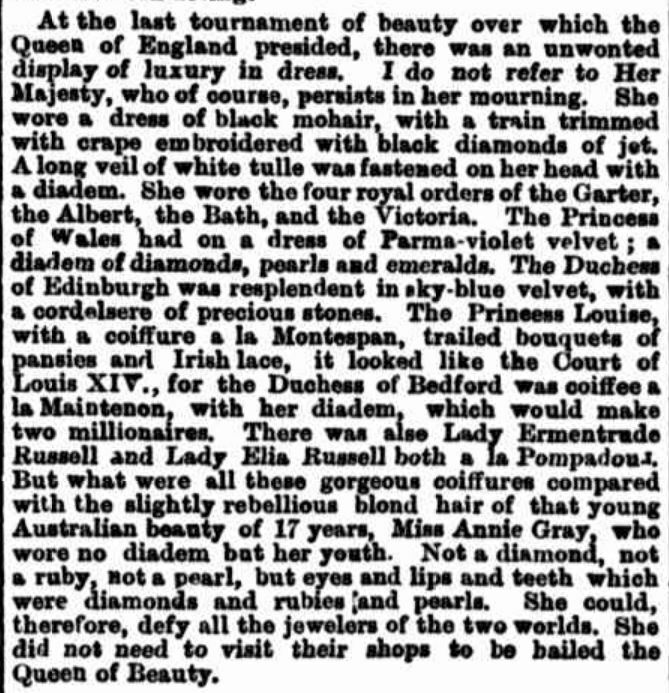 Some of their quotes included, “This young lady, who is not yet seventeen, is a very elegant and bewitching blonde, and bids fair to, be one of the belles of the season” and from the San Francisco correspondent of the New Zealand Herald, “amid all the diamonds and patrician beauties of a Royal drawing-room recently, the most .conspicuous person in the throngs was a young Australian girl of seventeen, who wore no jewels but her own incomparable beauty. 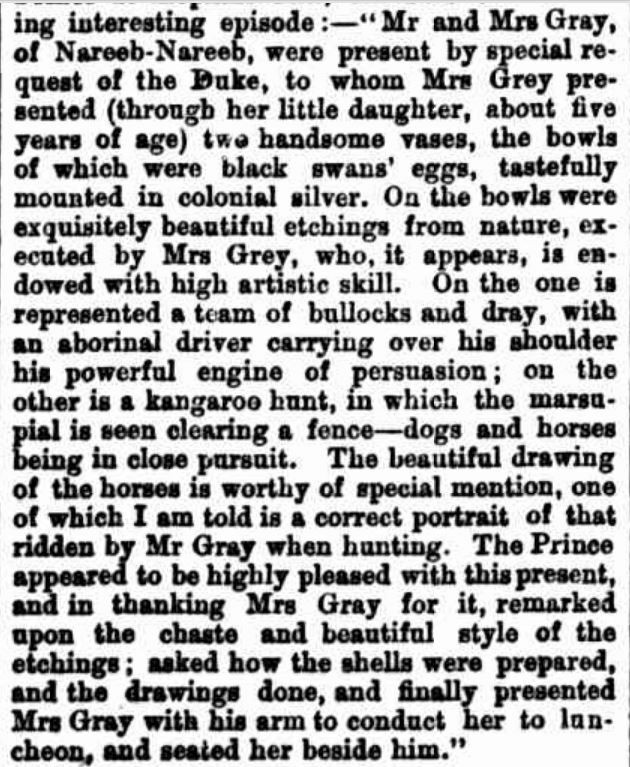 She is Miss Annie Gray.” They were describing the same girl who rode on kangaroo hunts with her father at Nareeb Nareeb. In November 1875, Elizabeth, Charles and Annie attended a Grand Country Ball at Brighton. Soon after Charles was making plans to return to Australia. In early 1876, he left London and travelled to New York and then on to the Philadelphia Exhibition before embarking at San Francisco for Sydney arriving in June 1876. He then made his way south to Nareeb Nareeb. Elizabeth and the girls extended their stay in England. 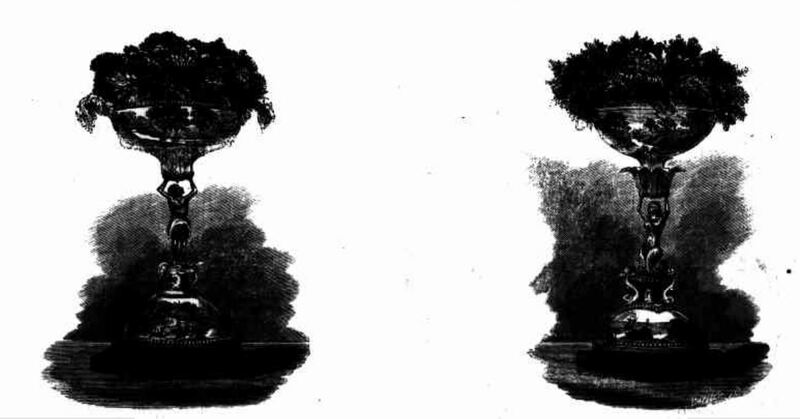 Elizabeth was still creating pieces of art and in May 1880, she exhibited china plates with similar etchings to those on Queen Victoria’s eggs, at Howell & James in London. HRH Princess Christian visited the exhibition and had high praise for Elizabeth’s work. (Morning Post (London) Thursday 27 May 1880 p. 3). On 16 November 1880, Annie married Charles Rowe at St Jude’s Church, South Kensington, London (London Evening Standard – Thursday 18 November 1880 p.1). 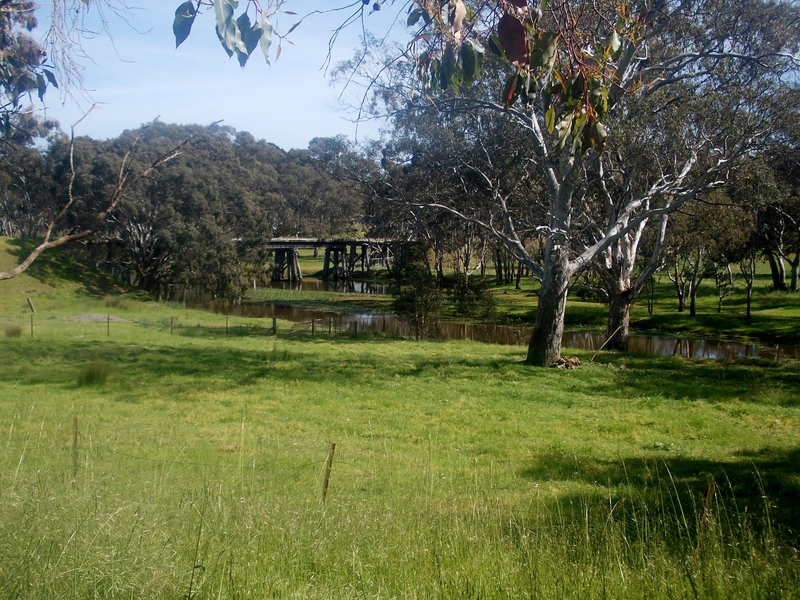 Charles continued on at Nareeb Nareeb until December 1886 when he put the property up for auction. 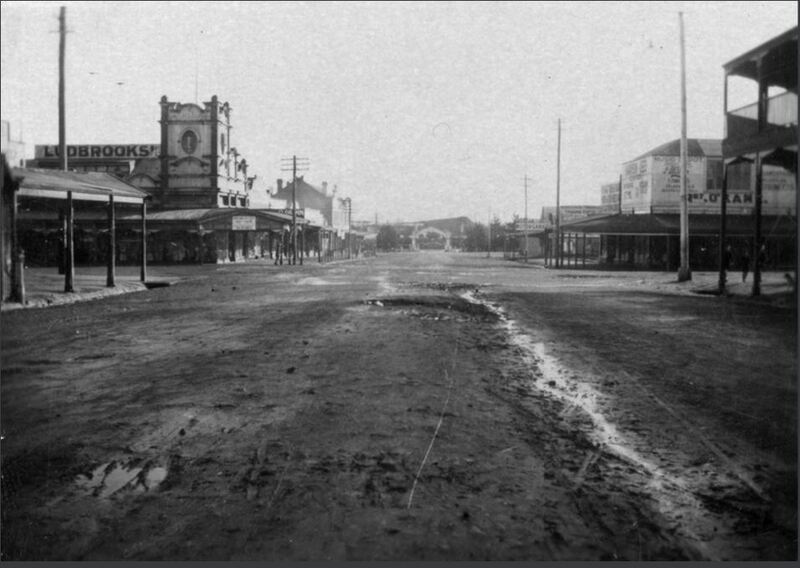 I had thought Charles returned to London at this time but in September 1888 he was seen walking along Collins Street Melbourne. 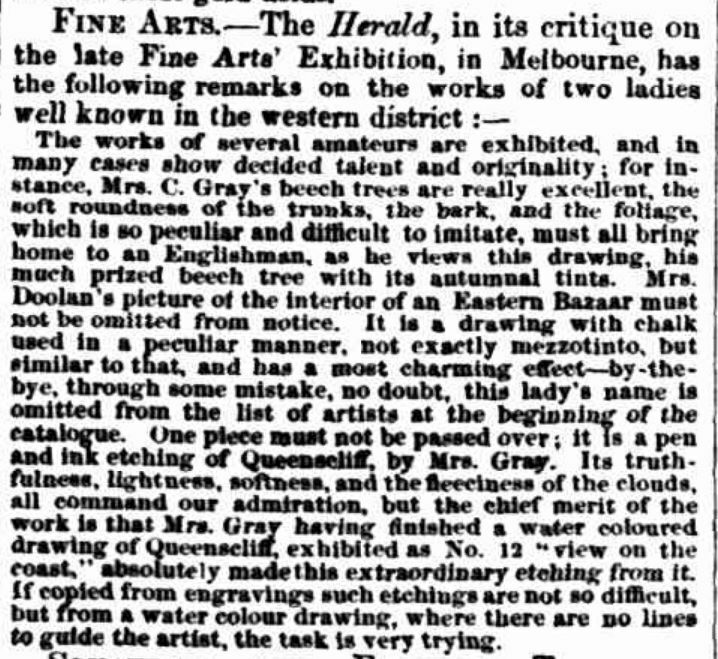 It was during the time of the 1886 Melbourne Exhibition and Elizabeth was exhibiting a series of photographs of her etchings. 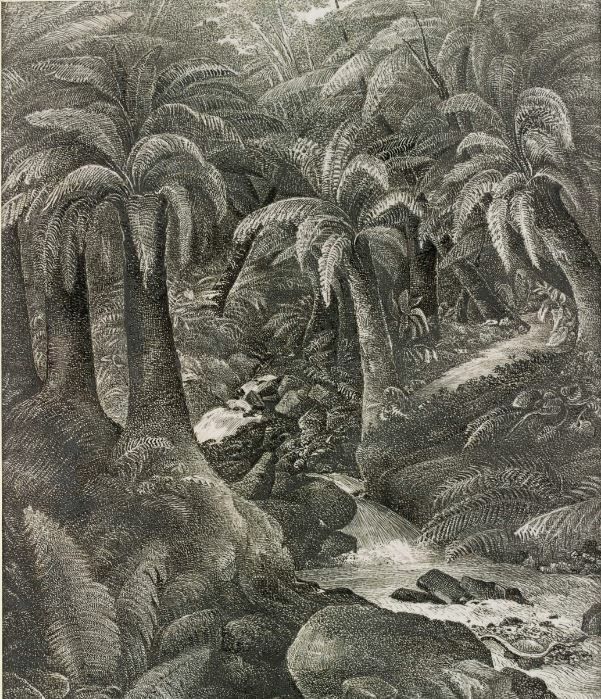 As usual, she received high praise, “This lady, whose talent for pen and ink work attracted royal notice made some wonderfully minute ethnological drawings of Aboriginals”. After his death, Charles’ Victorian Probate referred to him as being late of St Kilda. It’s not known when Charles returned to London or if Elizabeth ever returned to Victoria. Emily Gray married on 3 July 1889 at Lancaster Gate, London to Leonard Sedgewick. Youngest daughter Elizabeth “Ebie” Gray had also married to John Murray but sadness came when Ebie died on 2 October 1892 at Eccles, Manchester aged twenty-nine. It was a sad year for Elizabeth as her sister Kate died at St Kilda on 24 May 1892. In 1901, Elizabeth and Charles with four servants were living at 169 Cromwell Road, Kensington. On Sunday 29 March 1903, Elizabeth died in London aged eighty-one. Her funeral was held at St Luke’s Earls Court, Redcliffe Square, London. 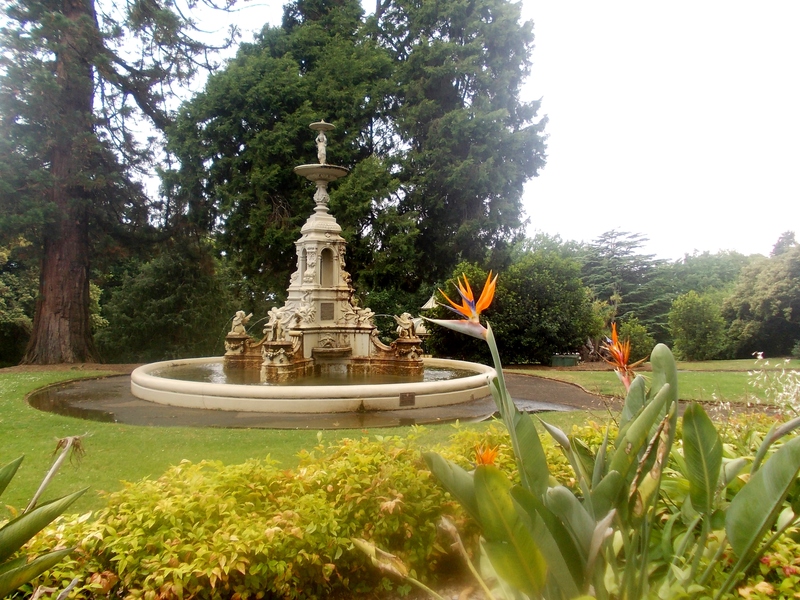 The two vases given to Prince Alfred are now part of the Royal Collection located at Osborne House, the summer house of Queen Victoria on the Isle of Wight. A photograph of the vases is available on the link to the Royal Collection.